These yummy truffles contain probiotic for gut health plus superfoods which are rich in minerals, vitamins, protein and antioxidants. 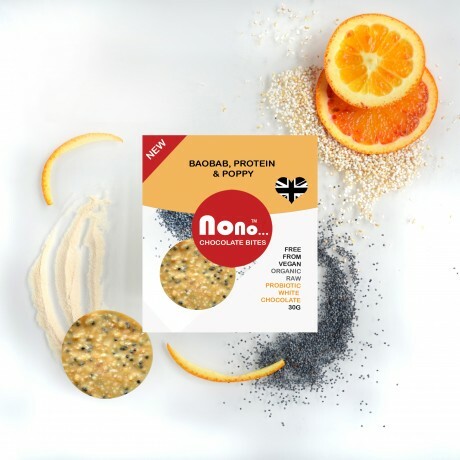 Delicious Baobab & Orange combination, full of antioxidants and the key electrolytes Potassium & Magnesium which contribute to muscle function and electrolyte balance. Beautifully orangy with a crunch from poppy seeds - creamy and totally satisfying. 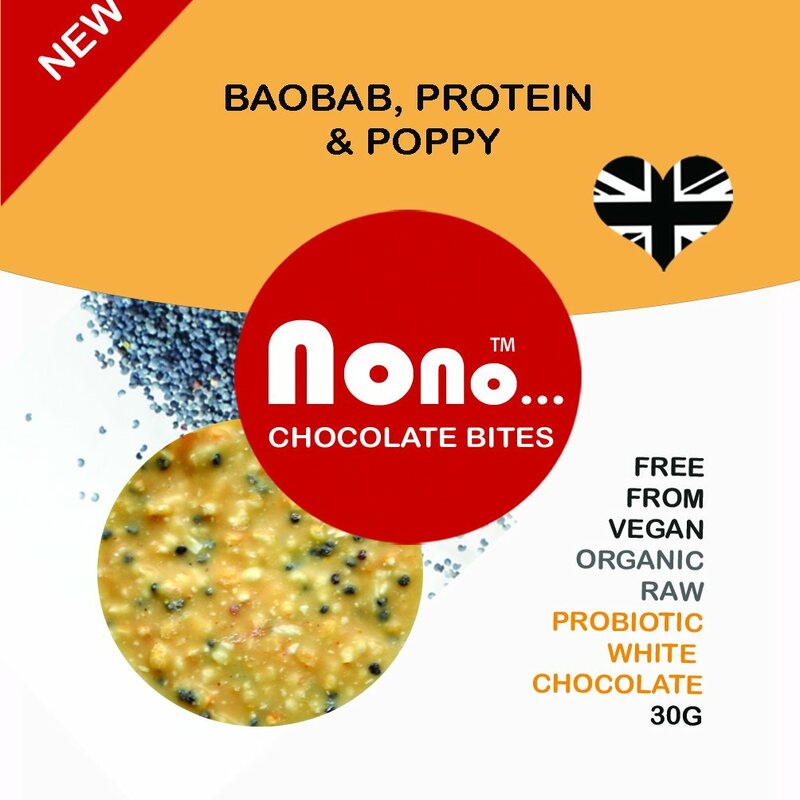 White Chocolate (Cocoa butter 48%, Rice powder, coconut nectar) 66%, Baobab (11%), Pea Protein (11%), Amaranth, Orange Oil, Poppy Seeds (2%), Probiotic Lactobacillus, Bifidobacterium that supports Digestive Health, Immune Health, Protein Utilization. Free from gluten, dairy and egg. Produced in a facility that doesn't handle nuts.